How Google AdWords works, and what is Google AdWords? AdWords is an advertising service that displays ads on Google’s Search Network and Display Network. On a Google search page the ads are displayed at the top and bottom, marked with the green Ad icon. Using Google AdWords, a business can bid for an ad to display when keywords are searched within Google. They only pay when a user clicks. Adverts can be displayed depending on the users location, language, device and more. When someone searches on Google, Google looks at the advertisers pool to see if more than one advertiser has bid on relevant keywords. In a split second, an auction starts and the highest bidders are displayed at the top of the search page. There can be 3 – 4 adverts displayed on search results at any one time. Google AdWords can be quite complex. Understanding the fundamentals really helps to get the most out of your ads. Cost-per-click (CPC) means that you pay every time a user clicks your ad. This is sometimes called pay-per-click (PPC). Advertisers can set a maximum CPC which is the highest amount they are willing to pay for 1 single click. Often you actually pay less than your maximum bid, which is called an actual CPC. You can choose your own bid amounts or you can ask Google to set bids on your behalf, to try and get the most clicks within a budget. If a keyword has been used in past auctions Google can estimate how well it might perform, so Google can give it a Quality Score between 1 and 10. 10 being the highest. You might see a double dash (–), which means that Google hasn’t got enough data to score that keyword. Google Ad Rank decides the final position of your ad on the search page, in relation to the other ads for each individual search. Real-time signals are taken into account by Google, like search query and relevance for the user, that is, type of device, language preference, location and time of day. For example someone near Windsor Safari Park, searching for ‘zoo opening times’ on a mobile device in the morning will receive different ad results to someone in San Diego looking for the same search terms on a computer in the middle of the night. This gives better CTR (click-through-rates) for Google AdWord advertisers, and more relevant results for Google users. Other factors are taken in to consideration for Ad Rank, like the quality of your other ads, the click-through rate and extensions or formats. What is click-through-rate? Click through rate is calculated by dividing the number of clicks your ad receives, by the number of times your ad is shown (impressions). What are AdWord extensions? Extensions show extra information on an ad, like a call to action, a telephone number, site links, locations… there are literally hundreds. 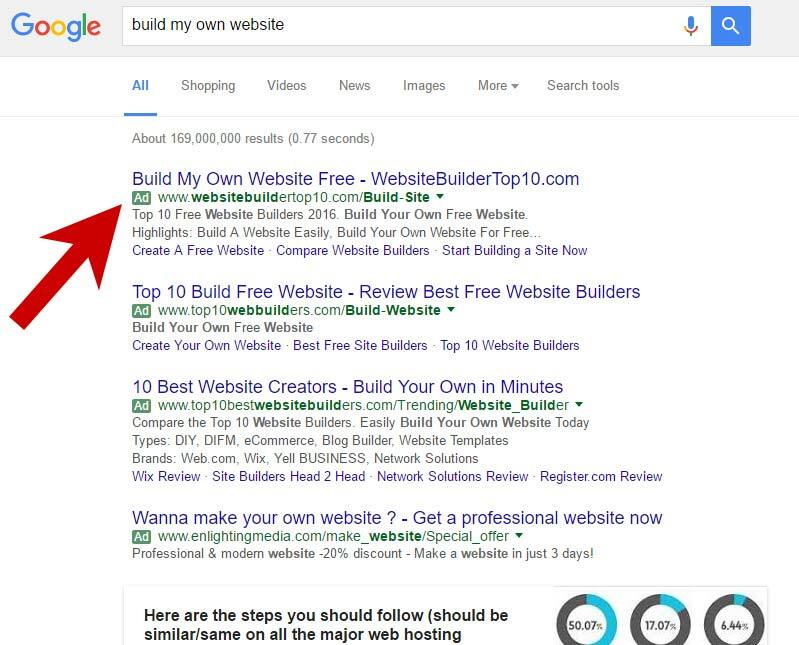 They can give your ad more visibility on the results page. Using extensions often improves click-through-rates. Even if you have added extensions to your campaign, they do not always appear. Google calculates when an extension will improve performance, and may show one or two extensions. What are AdWord formats? Simply the format of the ad. You can use text only, responsive, video, image, shopping ads or call only. More on ad formats can be found here. All of this means that even if your competitor bids higher than you, positions can still be won at a lower cost using high relevance. Each time the ad is requested the Ad Rank is recalculated taking in to consideration other ads, so your ad may appear at different positions over time. The myth that Quality Score is used to determine Ad Rank is not true. In the instant that someone does a search the auction begins and Ad Rank steps in to determine your position on the page. Quality Score is done before the search and is based on past performance of keywords. These two networks target users in different scenarios. The Google Search Network (GSN) is the most widely used, where the advertiser pays for ads to appear on search engine result pages (SERPs), mainly Google, but you can extend to other search partners. Using GSN advertisers reach those doing a general search for a product or service. The GDN or Google Display Network allows advertisers to place ads on a variety of other websites and blogs. Ads appear on sites that are relevant which is great for brand awareness. An unsuspecting internet user comes across your advert when going about day to day tasks, like reading the news or a blog post. Bid adjustments show ads more or less often, based on the location of the user, the time of day or device used, for example. Enhanced CPC (ECPC) is an automated bidding feature that raises your bid up to 30%, according to time of day, device, browser and location for clicks that seem more likely to lead to a conversion. You can set bid adjustments per campaign in the settings. Should a small business use Google AdWords? Google AdWords is an extremely powerful advertising tool. I would advise using it, along side organic optimisation and a social media strategy. Relying on AdWords as a single advertising tool would be a mistake for any business online. As soon as you stop paying, the ad disappears and so does your company from the search result pages. Gain clicks in areas that website SEO is weak. Launch of a new product. Optimise your website, write your blog, build a following on social media using your brand. Gain trust and then start to use AdWords to help encourage users that have not quite made the decision to buy.